Belows are some useful tips to determine what type of liner would work best in your facility. STEP 1: WHAT APPLICATION THE LINER WILL BE USED IN? STEP 2: WHAT SIZE LINER DO I NEED? Each container should have a gallon capacity or size printed on it. 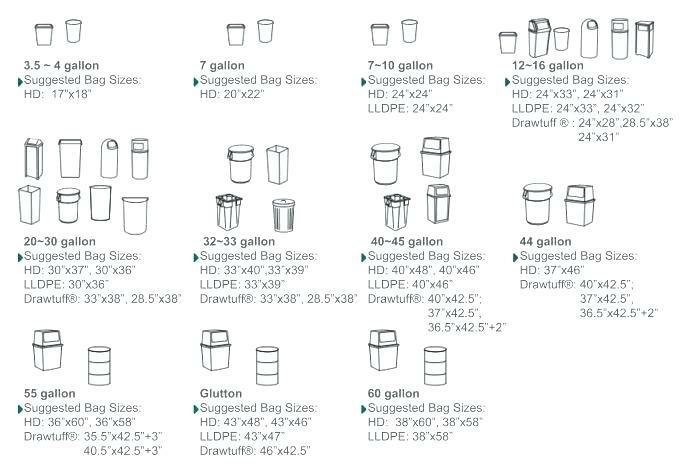 which size trash bag you need. STEP 3: HOW MUCH WEIGHT WILL THE LINER NEED TO HOLD? in your application and match it to the max load capacity listed for each liner.